This adorable wooden beach box measures 4.5 x 4.5 and is 3 inches thick. The box has been painted a beach white and then it has been roughed up to make it look worn. On the inside you will find some pretty blue paper decoupaged into the lids. There is also a bag of sand inside to go with the scripture. The sand is from Huntington Beach, California. 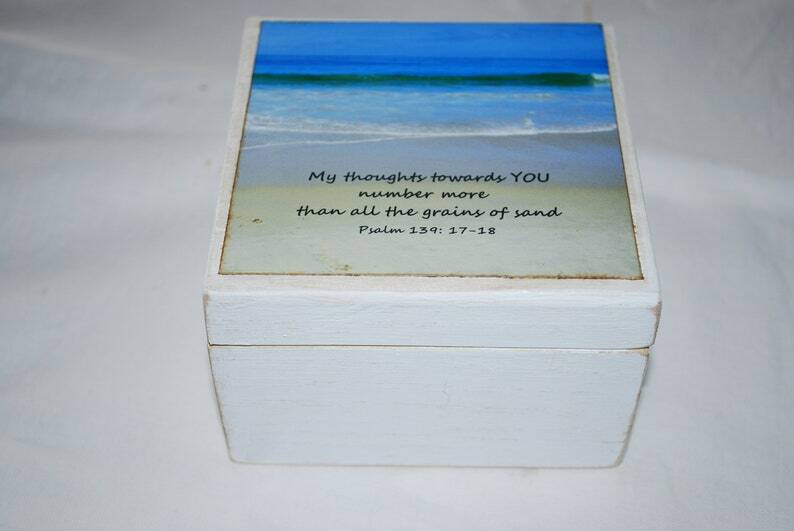 A beach in a box for all who long for the beach and for all who need to be reminded how much they are loved by God!